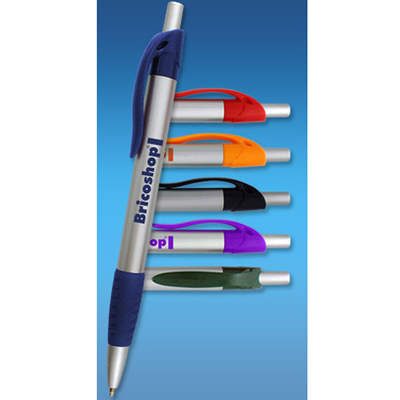 Accomplish your marketing goals with the custom printed Xact™ Chrome Fine Point Pen! 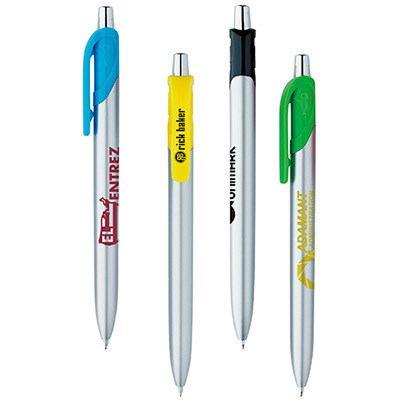 The custom printed Xact™ Chrome Fine Point Pen will make your client think of your brand with every use. 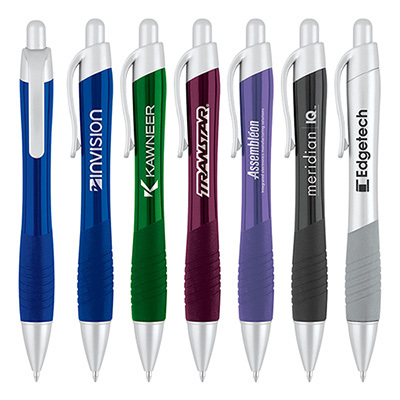 This patented hybrid ink fine point pen features a shimmering silver barrel contrast with a vivid trim to help you make a bold statement. 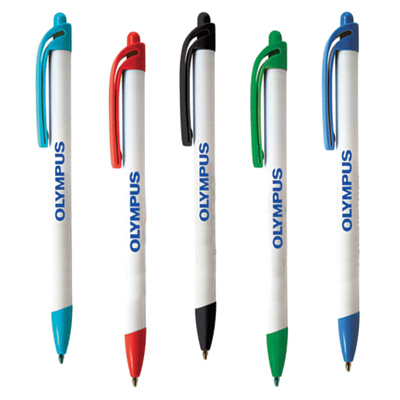 Your recipients will appreciate you for this thoughtful gift which also comes with a ribbed rubber grip for extra writing comfort. Order now! 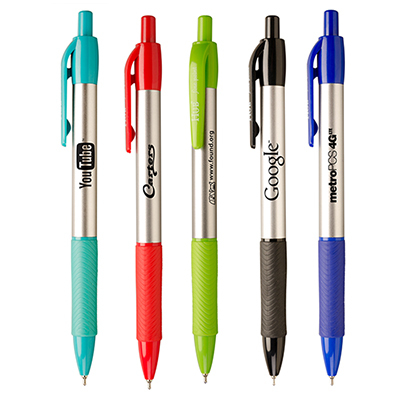 Silver barrel contrasts with vivid trim for a bold statement!